As you may know, yesterday was Census day. The day that comes once every five years where statisticians at the Australian Bureau of Statistics (ABS) go crazy over our personal life. The day ran smoothly for Australians who went old-school, filling out the Census form on paper (for those who received the papers in time). You would think it would have run even smoother for those who chose to complete the Census online, as the ABS advertised the transition to online forms as ‘fast, easy, secure’ . The transition to filling out the Census online was in fact the opposite. 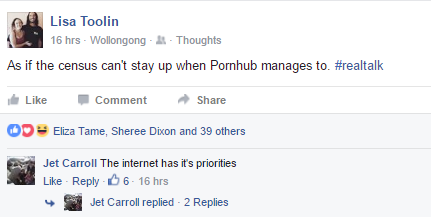 The website crashed as thousands of Australians across the nation attempted to fill it out. What happened? The so called secure website was disrupted by foreign hackers. 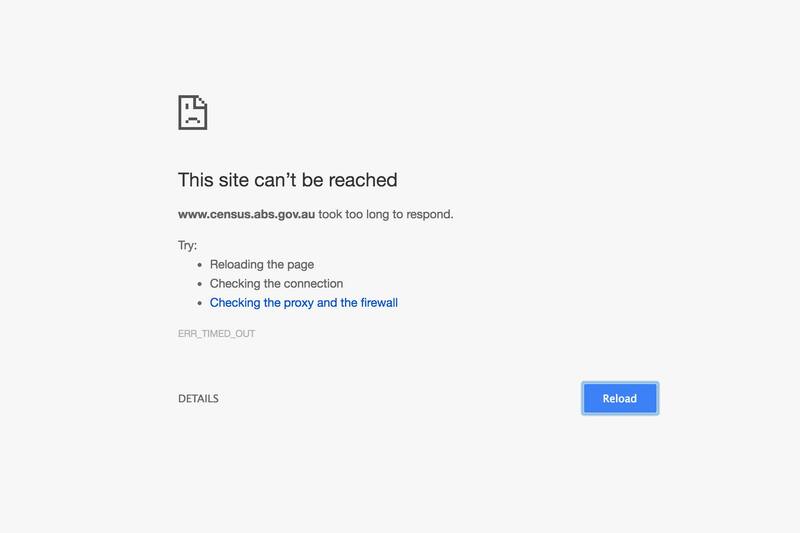 The ABC reported that head of the ABS, David Kalisch announced the census website had been attacked by hackers four times and was shut down as a precaution after the fourth attack. “It was an attack, and we believe from overseas,” Kalisch told ABC News Radio. Meanwhile, the ABS stands with the belief that there was a series of hacking attacks crashing the census website and that it was a deliberate attempt to sabotage the national survey from overseas. The ABS Twitter seems to be working fine and has notified people that the hefty $180 fine a day will not be an issue. The data submitted is believed to remain safe and the website will be back up and running as soon as possible.